Our exposure to the carrageenan industry taught us that Indonesia had become the world's leading source of tropical carrageenan seaweeds but there was a shortage of world-class manufacturing capacity able to serve world markets. Consequently most Indonesian seaweed is exported as raw material for processing in other countries. We therefore developed our new modern manufacturing facilities near to Bogor where we can build on Indonesia's comparative advantage as a source of farmed cottonii and spinosum seaweeds. We produce food grade Carrageenan. We can be your manufacturing partner near the best and most cost-effective sources of cottonii and spinosum in the world. Providing strategic carrageenan building-block products to blenders, formulators, solution providers and further processors worldwide. 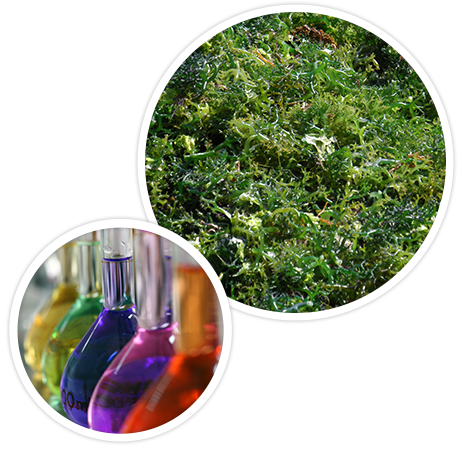 Capitalizing on Indonesia's seaweed comparative advantage to supply pure, cost-effective carrageenan building block products made in world-class manufacturing facilities.